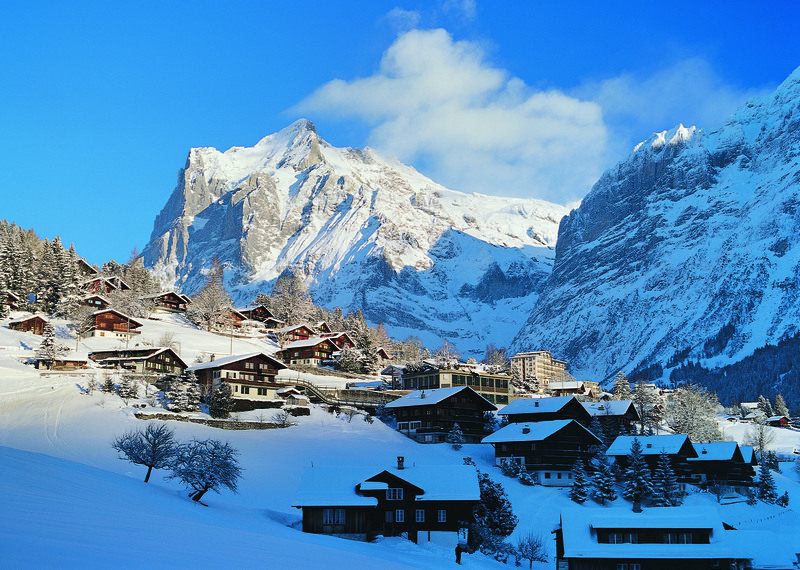 Nestled in the shadow of the imposing Eiger north face, sits the charming village of Grindelwald with its own ski area, First, available for you to take in the stunning views. 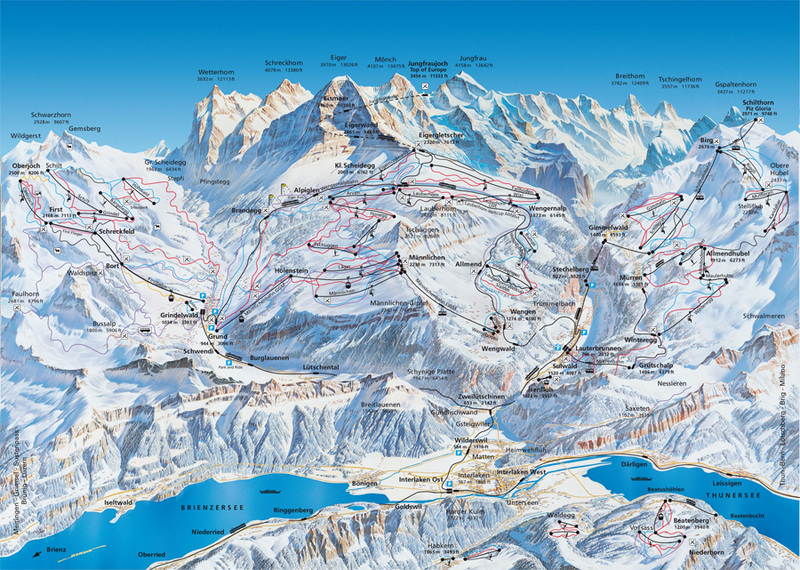 Once the slopes of First have been exhausted you can crawl towards the north face on the painfully slow cog railway, eventually reaching Kleine Scheidegg, opening up the mountain to the runs shared with Wengen. 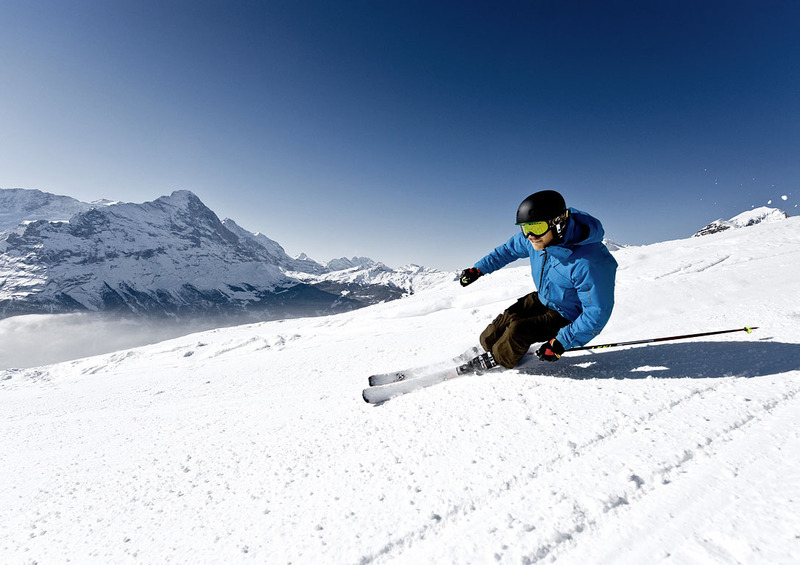 It’s perhaps not an area that challenges, with 18% of slopes rated as black, but it is ideal for intermediate skiers, with winding blue and red runs through snow-topped trees. Beginners may find the railway route up to Kleine Scheidegg more worth their while as the nursery slope at First is hard to get to, with snow conditions suffering in the low altitude and sun, but higher up conditions are better and progression onto the abundance of intermediate slopes is easy. 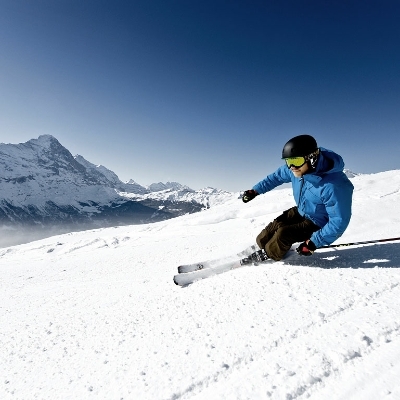 At just 1035m Grindelwald can suffer from a lack of snow, particularly the sunny side of First, making it hard to guarantee perfection for everyone, but 65% of slopes have snow making. 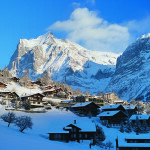 But whatever Grindelwald may lack, which could leave the extra daring skier wanting, it more than makes up for it with jaw-dropping scenery. And as the resort seems to take a more laid back approach, a break from the piste is recommended as a trip to the top of Europe is a must. 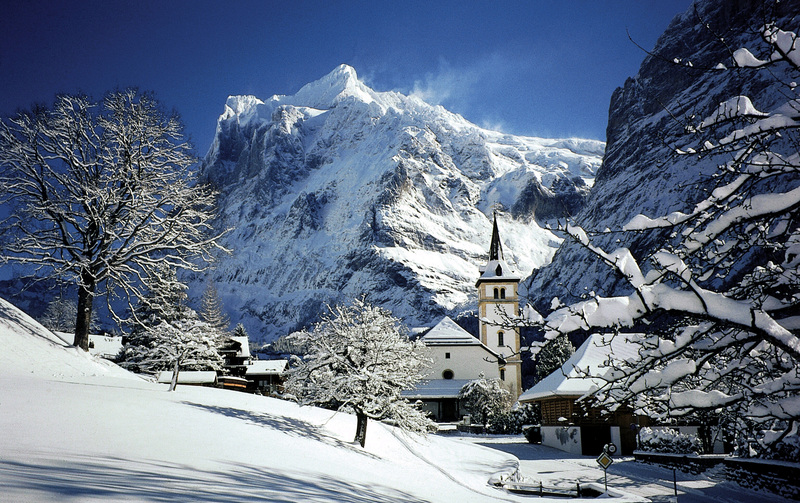 The train chugs through the mountains to Jungfraujoch, where views are unrivaled.